​​CLEVELAND, Ohio - LeBron James is the best basketball player in the world. Just ask him. We all remember when he uttered those words at a press conference last season following a Game 5 loss in the NBA Finals to the Golden State Warriors. When questioned about his deep three-point attempts during the 104-91 loss, and whether he felt free to shoot those because there was less pressure on the Cavs to win due to their debilitating injuries, James responded with, “Nah. I feel confident because I’m the best player in the world. It’s simple.” Well then, why is LeBron now - less than a year later and with his team flailing over the last two games of the Eastern Conference Finals - shying away from pulling the trigger late in the game? Your guess is as good as mine. The knock on LeBron almost his entire career has been that he does not have that killer desire to want the ball in his hands and make a big shot down the stretch the way some of the other greats, like MJ and Kobe, once did. James has oftentimes made that extra pass to open teammates to take game-tying, or game-winning, shots. Sometimes that has worked out in his favor, other times it has backfired miserably. 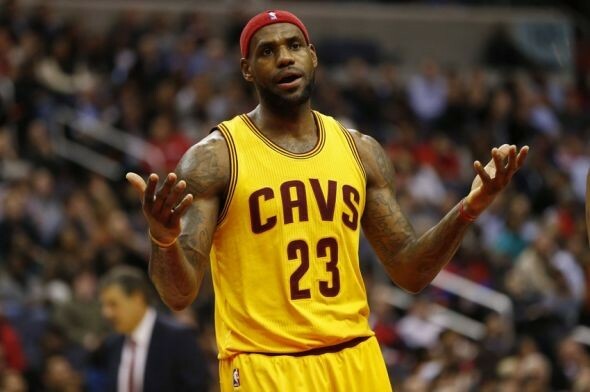 For a player who is regarded as having such a high basketball IQ, it is often frustrating to watch LeBron James not take over games late in the 4th quarter when the outcome is still undecided, and his teammates are struggling. Time and again during the Cavs’ 99-84 Game 3 loss to the Toronto Raptors, we witnessed LeBron deferring to PG Kyrie Irving, or stretch PF Kevin Love, when a big basket was desperately needed. It would be one thing if Irving and Love were stroking it that night like that had been previously in the playoffs, but both players were terribly off target the entire game. Irving finished with only 13 points on 3-19 (15.8%) shooting, and Love was even worse, scoring just 3 points on 1-9 (11.1%) from the field. The 4th quarter of Game 3 was the perfect time for LeBron James to put the Cavs on his chiseled back and either will them to victory, or go down swinging. Instead, we watched the so-called best player on the planet take just one shot, and score only two points – from the free throw line – in the final 12:00 minutes of the Cavs’ 15-point defeat. The final quarter of Game 4 was even more infuriating, as we watched the Cavaliers claw back from an 18-point deficit to take a 94-92 lead on a LeBron dunk with 5:28 left to play in the game. The vexation was caused by the fact that that would be James’ last bucket, as he attempted only one other shot – an out-of-control layup – and was held scoreless the remainder of the game. Instead, we watched as Channing Frye, Matthew Dellavedova, JR Smith and Irving would combine to go 0-9 from the floor the last five minutes as Kyle Lowry, DeMar DeRozan and the rest of the Raptors evened the series at two games apiece. 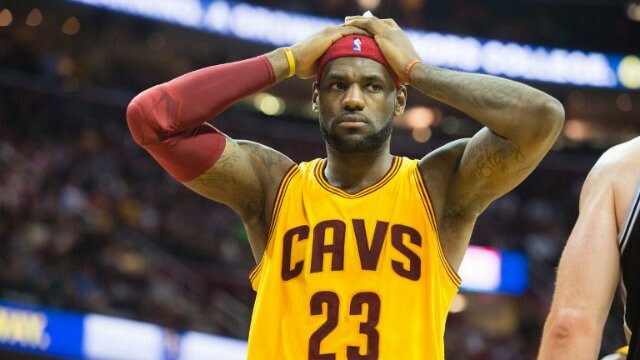 Over the last two games of the Eastern Conference Finals - both losses for the Cavs - LeBron James is just 3-5 from the field for a grand total of 10 points. More importantly, however, is the fact that King James has only attempted two total field goals in the last 5:00 of both games combined. And it is not as if either game was out of reach at that point. With 5:00 remaining in Game 3, the Cavs trailed by ten, in Game 4, they were leading by two. James’ refusal to fire away late in games has not been the norm in these playoffs either, which is more of a reason to be frustrated with his recent actions, or inactions for that matter. Prior to Game 3 vs the Raptors, in non-blowout games these playoffs (games decided by 15 points or less), LeBron was averaging 6.8 ppg in the 4th quarter, including 3.3 ppg in the last five minutes. It is no wonder that the Cavs ultimately won each of those games, which included a 100-98 win at Detroit in Game 4, and a 100-99 victory at Atlanta in the closeout game of that series. The bottom line is this: when the game is on the line, especially in the playoffs, the Cleveland Cavaliers need LeBron James to be the superstar that he is, to command the ball when a big bucket is needed, and to make it happen, just as all the greats before him have done. Maybe it is time for first year head coach Tyronn Lue to grab LBJ by the shorts and tell him to just shoot the damn ball. Plain and simple.